Para actualizar el Software que trae el Sonnus Wahoo se debe descargar el utlimo software atravez de la pagina oficial, registrar tu producto con serial y actualizar OnLine, es muy Sencillo. 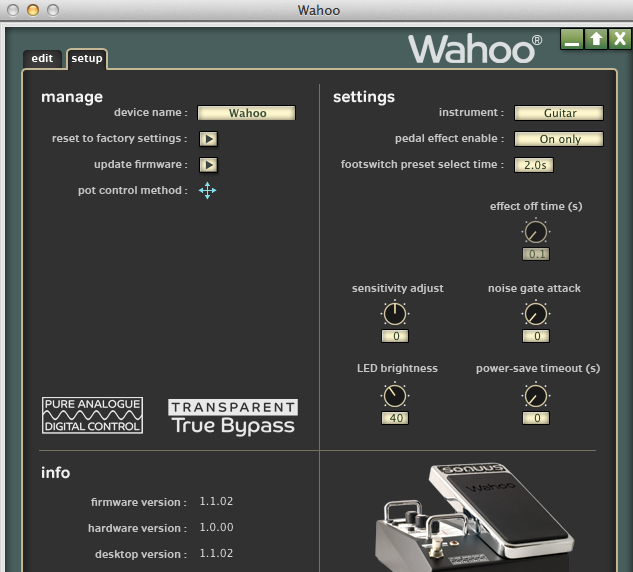 To support new features and to make it future-proof, firmware (internal software) of the Wahoocan be upgraded. To update the Wahoo firmware you will need to download the latest firmware file (.sfu) and Firmware Updater software (which includes an instruction manual). The updater software is available for both OSX and Windows. To access these files, you need to register and create a user account! 2. The numeric display now shows UPd to indicate firmware update mode is active. 3. Connect the Wahoo to your computer via USB (if not already done during Power-On). 4. 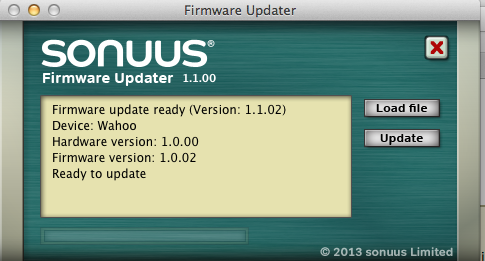 Follow the steps in the Firmware Updater manual you have downloaded. Current time: 04-25-2019, 05:49 AM Powered By MyBB, © 2002-2019 MyBB Group.